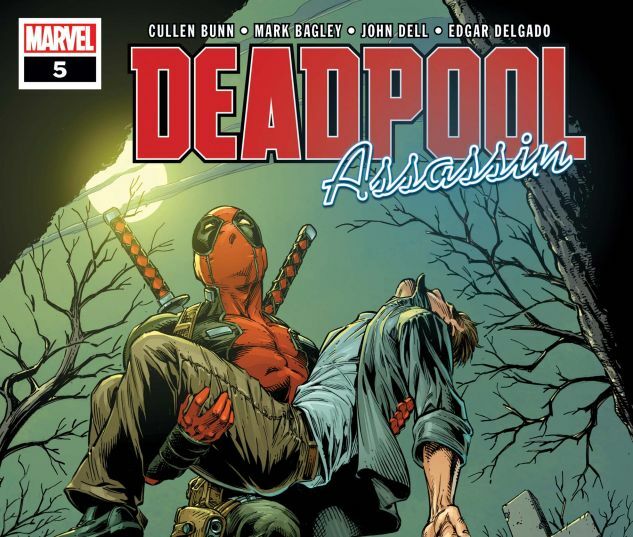 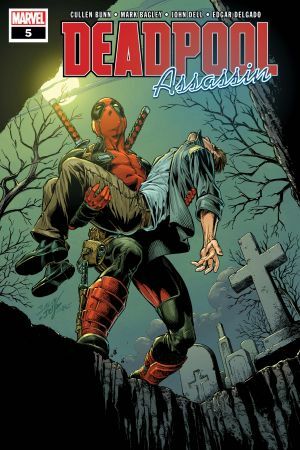 The Assassins Guild has been hunting Deadpool and the people he cares about, but they messed with the wrong Merc! 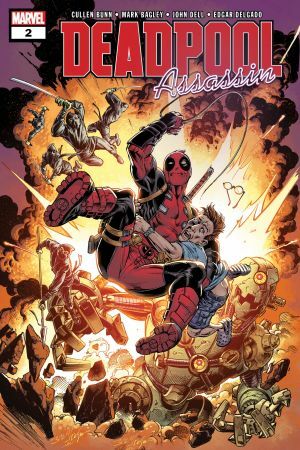 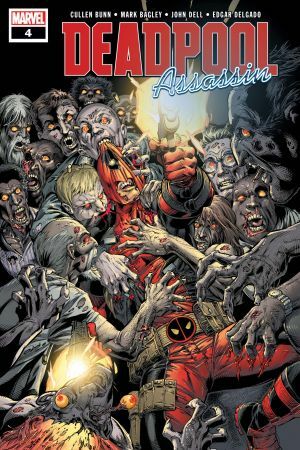 IN THIS ISSUE – Deadpool and his pals take the fight to the guild and hit ’em where they live…LITERALLY. 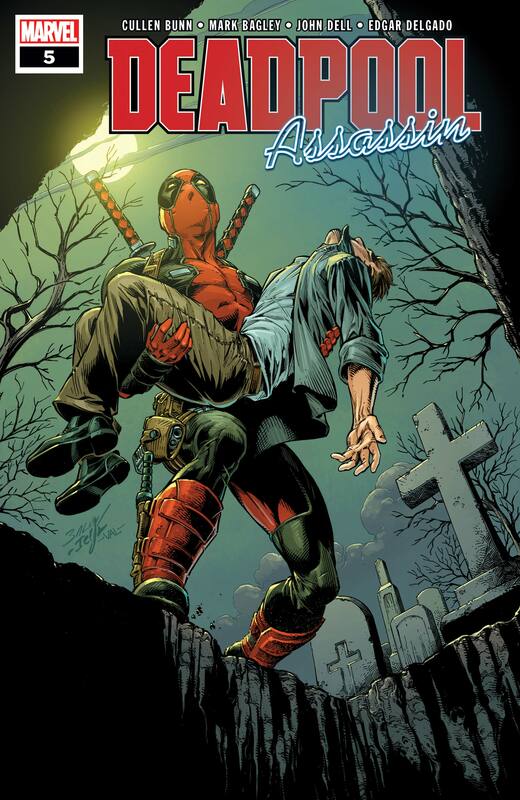 I mean it! 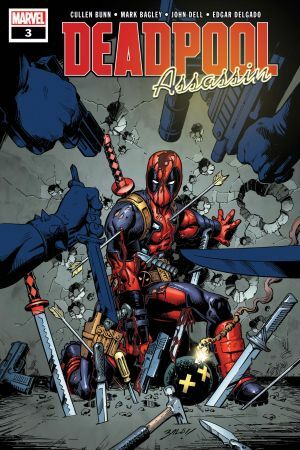 Deadpool and co. 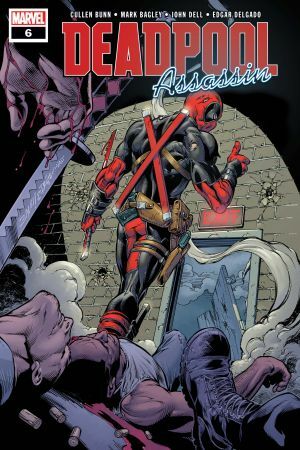 ATTACK THE ASSASSINS GUILD HEADQUARTERS…AND NOT EVERYBODY MAKES IT OUT ALIVE!